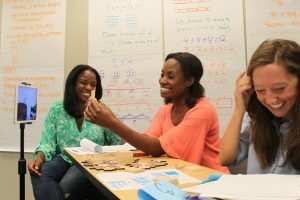 The Master of Arts in Teaching Mathematics degree (MATM) is designed for teachers, math coaches, math specialists, and math interventionists in grades K – 8. The program is ideal for educators looking to strengthen their skills and expertise as math teachers and those who wish to enhance their professional credentials in order to become teacher leaders in mathematics education. This program is built around the latest research and best practices in math education today. 8 courses are focused on mathematical content, pedagogy, and effective teaching practices. 4 courses are focused on math teacher leaderships, including thought leadership, coaching/mentoring, facilitating adult learning, and advocacy. The two-year program involves three intensive summer sessions and two academic years of online work. 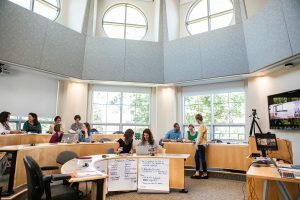 The entire program can be done online, however, students may (and often do) attend the summer sessions on our beautiful campus at Mount Holyoke College. Each academic year will include 4 credits of mathematics work and 4 credits of educational leadership, all conducted online. 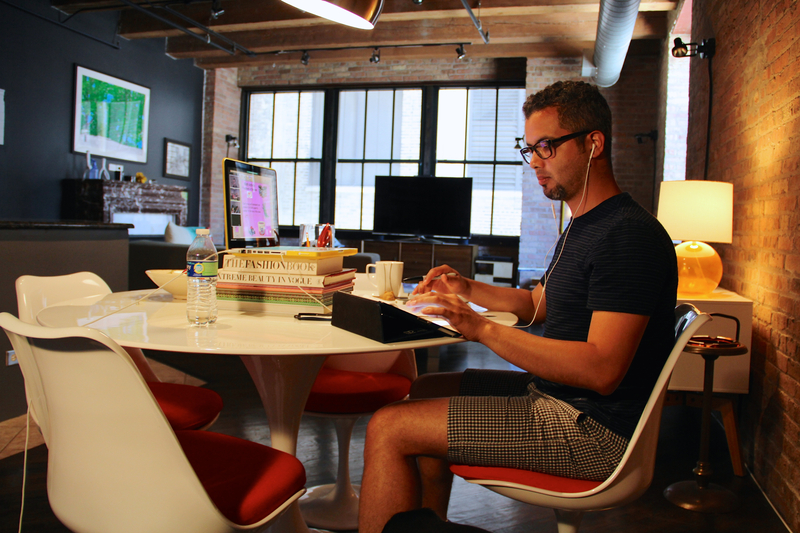 The academic year online courses blend asynchronous assignments with live Virtual Learning Sessions. Have a deep conceptual understanding of the mathematical content in each of the following mathematical domains appropriate to K- 8 grade levels: Counting & Cardinality, Number & Operations in Base Ten, Operations & Algebraic Thinking, Measurement & Data, Geometry, Ratios & Proportional Relationships, The Number System, Expressions and Equations, Functions. Understand how students make sense of the mathematical ideas in each domain and how these concepts and skills build from kindergarten through eighth grade. Appreciate the power and complexity of students’ mathematical thinking. Know what questions to ask of students that will deepen their mathematical understanding. Use and/or adapt curriculum to meet the needs of their students. Connect their experiences in the courses to current research from the field. Develop rich images of teacher leadership at all levels from sharing their classroom work to coaching and mentoring colleagues to leading professional learning opportunities to advocating for the profession. 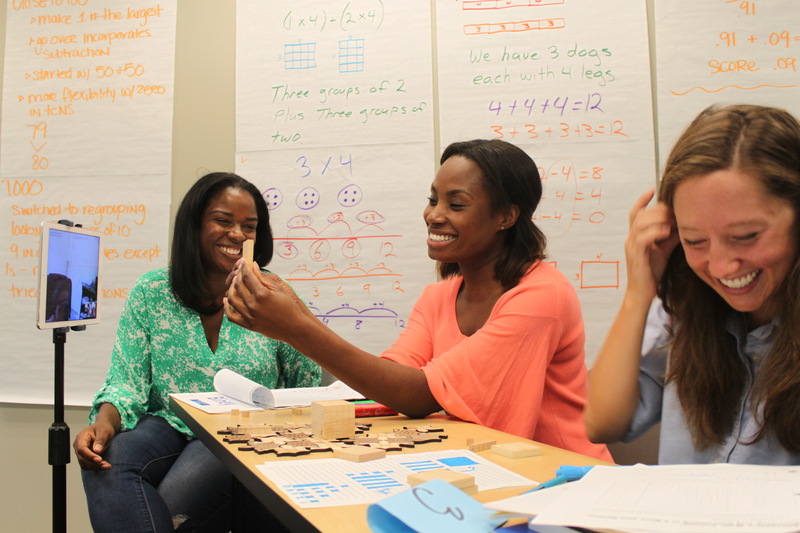 Participate in the mathematics education community at the local, state, or national level. In total, the MAMT degree is based on 16 credits of synchronous summer sessions (on-campus or online) and 16 credits of online work completed during the academic year for a total of 32 credits. The tuition for the complete program is broken into 7 billing cycles over the two years. The total cost of the program without any scholarships is $24,800. Mount Holyoke College’s Department Professional and Graduate Education offers generous scholarships for their degree programs. Click here to find out more about these opportunities.